Welcome to MyNOVAEvent where all NOVA 535 event details are found. (ONLY) NOVA PROVIDES: Beverages, Chairs, Drapery, Furniture, Table Linens, Tables, Rental Items, Stages, Valet and Venue Management. VENDORS (after approval) MAY PROVIDE: Design, Day of Coordination, Food, Entertainment, Planning and anything not being provided by NOVA. #1 COMPLETE THIS (online) mynovaevent.com/vendorform. Put the name in the “Company Name” field that payment is made to. If people pay you personally then put your personal name in Company Name. #2 SIGN THIS (online) mynovaevent.com/nova-535-vendor-expectations. A PDF copy of your current Liability Insurance declarations page. 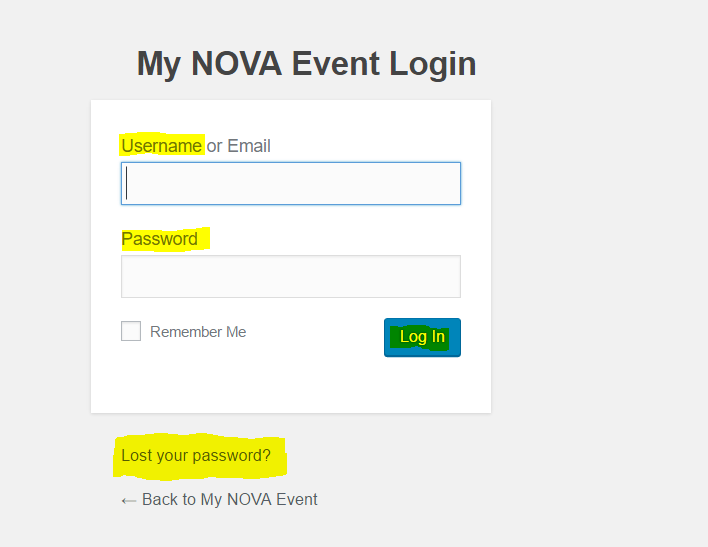 Once approved, we will email you your MyNOVAEvent.com Username and Password, where ALL EVENT DETAILS ARE FOUND. #2 Enter your Username and Password, click Log In. NOVA 535 strives to provide a warm and delightful 5-Star experience for each person during every event. If there is anything we can improve please email info@nova535.com. If you receive an ERROR message or need SUPPORT click here. Thank you, and welcome to NOVA 535!